Someone asked what scrapbooking was all about at a workshop and open house I once attended. Quite a few people had dropped in to the papercraft event just to satisfy their curiosity about why people were coming into the building where it was being held. I was glad there were some albums on display to show people the beautiful things you can do to create a personal book full of photos with journaled memories recorded in your own handwriting or on your computer, for that is exactly what it is, for those who do not already know. "A Birth Certificate shows that you were born, A Death Certificate shows that you died, A Photo Album shows that you lived." Quote from an email I received. Our photos and memories are precious. In the Japanese tsunami of March 2011, people had to abandon everything they had in the face of the onrushing walls of water, including their scrapbooking. Afterward, their photos and albums began to be found. They helped so many people to have their memories restored to them after such unspeakable devastation. Understanding how important it is to tell your story can be the sole reason for starting your journey into scrapbooking. If you have not yet begun an album of your own, here are some tips for how to begin. 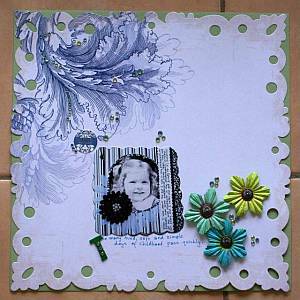 Did you know scrapbooking has actually been around for hundreds of years, in various forms? The earlier forms are not like today's versions and the craft is continually metamorphing into new forms. One scrapbooking writer on the web I know of, Beth Belair, has written a history of it that is very interesting to read. I only knew it had been around since the first World War. It has been something people have done for much longer than that! 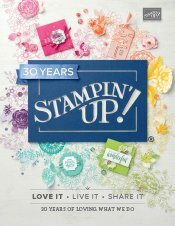 Starting a Scrapbook can be as simple as gathering photos and memories you want to preserve into a pocket page album, such as Stampin' Up! 's Project Life albums. 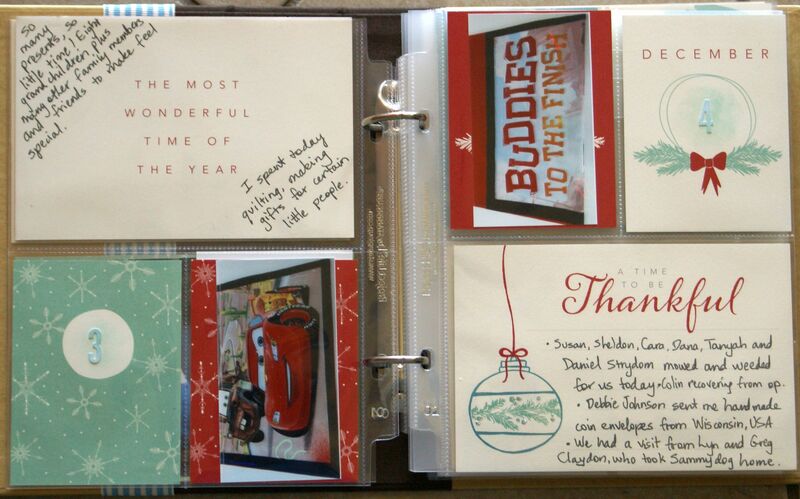 You just slide pictures and decorative or journalling cards into pockets, in the order you want to add them. You get all you need to finish a lovely project when you buy such a kit from my Stampin' Up! store. You can find out what makes scrapbook paper different to other types of paper used in papercraft projects if you have not heard of it before. You can make an album in so many different ways. 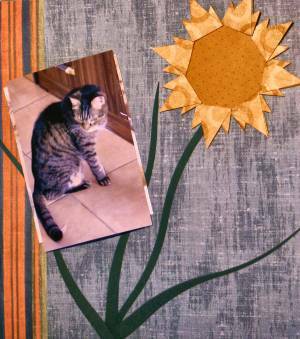 Traditional scrapbooking is usually done on 12" x 12" cardstock pages, such as the simple page I added at the top of this article. 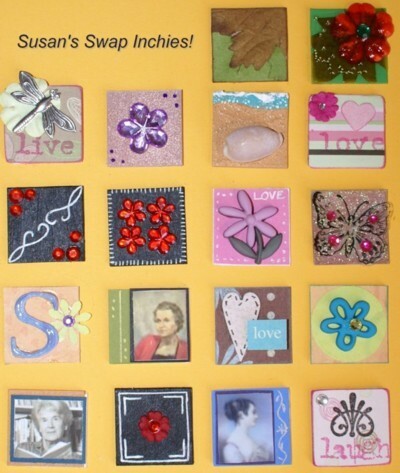 You can make albums in many different sizes and using many different mediums, described in part on the making a scrapbook page. Would they understand who the people are? Would they know what the pictures are about, or when they were taken? Would your stories be understood and remembered? Is your book interesting to look at, inviting people to spend some time examining it? Journaling allows you to tell your story so others can read and understand what is important to you. Future generations will be grateful for the time you spend recording your story for them. I find this craft provides me with a creative outlet as well. I love to be creative with embellishing my pages, sometimes including designs that remind me of the events that I have recorded with my camera, like the page I made above. This page tells about my ninth birthday. My cake had pink roses on it, so I made some pink paper roses to embellish my page. I added my journaling, telling about my memories of that day. It was etched on my memory so I found it fairly easy to write about. You can just add titles to your work, evoking a feeling or a single idea about the event you are scrapping about. Or you can just add dates and maybe the names of people on the page. Simple journaling like this orientates people to your life events. 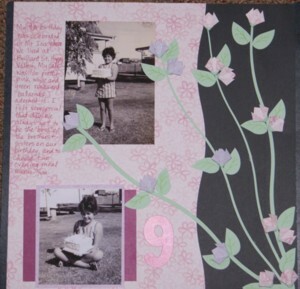 On this page I will gradually add ideas for enhancing your own scrapbooking albums. I hope you will check back often to read about new ideas. You might like to subscribe to Paper Twists so you can have even more exclusive paper craft ideas. I promise to use it only to send you Paper Twists. Have you ever tried a Retro Layout using a very old photo? This one I did shows a sponged, heat embossed background and some hand made paper flower instructions. Here is some more information about making pet albums. Try a layout using the principles of a White Space Design for a focused and balanced looking single or double page for your album. Acid free Lignin free and Buffered are terms you may want to know a little more about before deciding how to make your albums. Circle Journals are a friendly form of papercrafting. Learn more about them here. 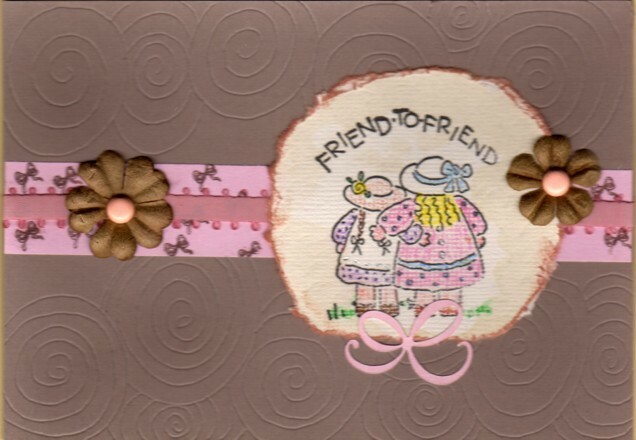 Friendship Scrapbooking is a great way to let a special friend know how you feel about your friendship, or that she will be missed if she is going away. Would you like to know How to Make Paper Flowers using your heart punches to decorate your pages? I'll show you! Have you ever heard of Inchies? How about Twinchies? 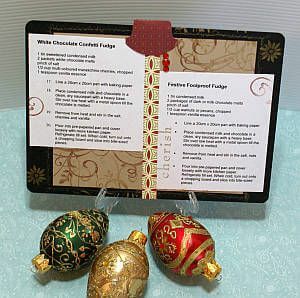 Come on in and find out how to make a bunch of these to embellish your pages. Here's a Savoury Red Lentils recipe card. I made a Lemon Meringue Pie recipe card too. Having a theme for your album can provide a thread of meaning through all the pages of it. Here are some Scrapbook Theme Ideas to get you started. 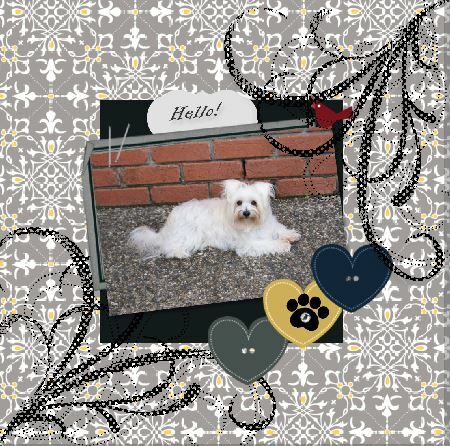 How about making a Doggy Scrapbook about your favourite puppy? Make a Special Occasion Page to remember it forever. Making a Nostalgic Circle Journal entry in black and white can be a wonderful way to remember. Journals can provide a precious record of a time or of your thoughts. Here's a page from my Gratitude Journal as an example. To emphasis and draw attention to a point, try making a burst pattern behind your point of interest. Here's a monochromatic layout for a Circle Journal that makes use of journaling. See Tanyah Payne's amazing Baby Boy Photo Album. I hope you enjoy scrapbooking as much as I do, and if you have a special layout you would like to share with me I would be delighted to see it. You can add it below this page about my sweet old cat. I would also love you to comment about why you make albums. The reasons can be as varied as the people who make them. I am sure I haven't listed ALL of the reasons people scrap! Fion has a lovely scrap book site for beginners. It's where you can pick up all the essential scrap booking know-how for free and start creating some layouts today.